Edgewater Workbench offers 3D printing and laser cutting services. We provide 3D printing and laser cutting services by appointment only. Please email appropriate files (see below) to info@edgewaterworkbench.com for a time and cost estimate for your project. Minimum lead time is 5 business days. No walk-ins, please. Let us help bring your ideas and designs to life! We have a fleet of FDM printers and a wide range of colors of PLA filament. Email your file (.stl or .obj) to info@edgewaterworkbench.com, including desired specs of print. We will respond within one business day with a time and cost estimate. Most jobs have a 5-7 day lead time. No walk-ins, please. Our laser cutter can cut and etch paper, wood, fabric, and plastic up to 1/4" thick. We have a 90W CO2 laser with a 24" x 18" bed size. For best results, please fit design into 24" x 12" artboard. 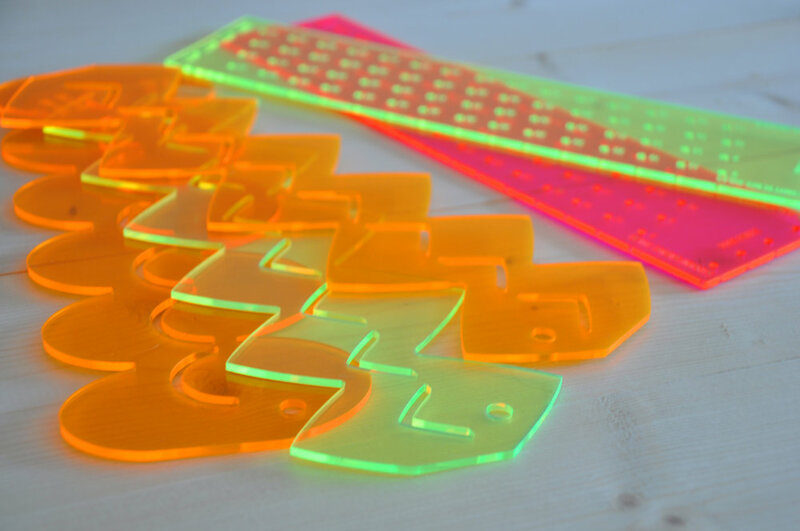 Click here to see guidelines for setting up your file for the laser cutter. Email info@edgewaterworkbench.com with specifics about your project and we'll get back to you with a time and cost estimate. Most jobs have a 12 - 15 day lead time, depending on the scale of the project. No walk-ins, please. In most cases, we do not stock material. Please plan to source material, or to pay a convenience fee for us to source it for your project.